"It will always be Little League and laughter in my mind...."
"Missing you bro,can't ever fill the emptiness i feel.My..."
"May God be with you. You are greatly missed. May your..."
"I will truly miss you my dear friend." 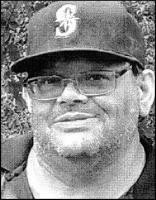 "Bruce, Cathy and Charlene - we are so sorry to read that..."
Michael David Miller passed away at the age of 52 on March 21, 2019 at home in Vancouver, WA unexpectedly. He was born March 18, 1967 to Ronald ”Bruce” and Catherine Miller. Mike graduated from Mt. View High School in 1985 and remained in Vancouver. He was employed in several jobs, most recently with Evergreen School District. Mike or ”ekiM relliM”, as his friends know him, was a caring, compassionate person who enjoyed laughter and putting smiles on peoples faces, but he also had no problem voicing his opinion in conversation. He touched the hearts and lives of many and he will be greatly missed. Mike spent time visiting friends, having poker parties and playing darts. He loved sports, including fishing and his knowledge of sports stats was amazing. Mike leaves behind his parents, Ronald ”Bruce” and Catherine Miller; sister, Charlene (Tony) Sole; nephew, Ronin Sole; step-grandmother, Betty Miller; and several aunts, uncles and cousins. He was precede in death by grandparents, Lloyd and Luella Dearey, Bill and Dorothy Franks, Ronald E. Miller; aunt, Sandy Dearey; and cousin, Lindsey Maxwell. A Celebration of Life Memorial will be held in Mike’s honor, at 12:30 p.m on Fri., April 26th at Evergreen Memorial Gardens, 1101 NE 112th Ave., Vancouver, WA. A reception will follow at an announced time and location following the memorial and graveside service.